So by now you’ll have ascertained that I’m in Cyprus. If you’ve not already seen the first part of my write-up, go back and read that first. It’s here. Having had my lunch at the Aloe Hotel (Paphos) in lieu of the missed dinner on my arrival in Cyprus I’d no sooner sat down in the lobby and my transfer taxi appeared. Or at least the driver did! Whilst the Aloe was a decent hotel, its decor was somewhat dated. 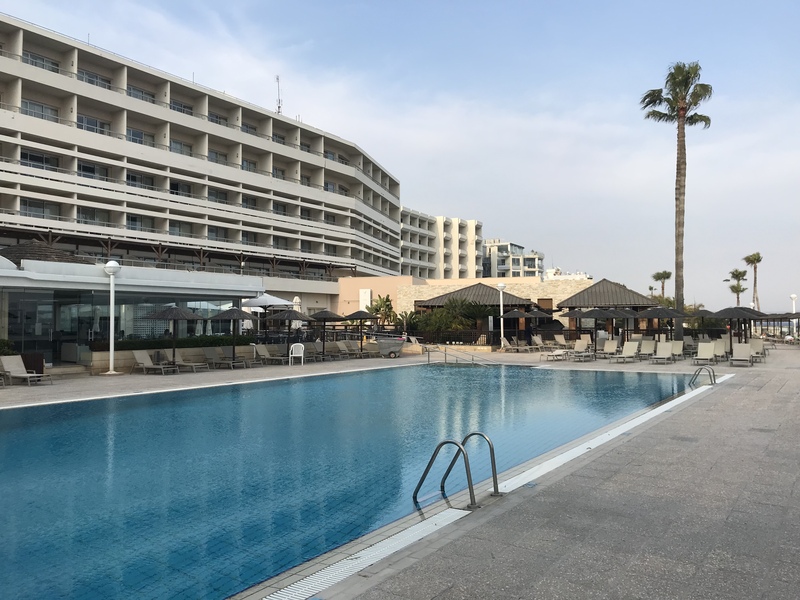 So it was a huge contrast to the Atlantica Miramar in Limassol which was very smart indeed. To the point where I doubted they would let me into the dining room for being too scruffy! I had another wander after dinner before watching some bad TV and thus heading to bed for an early night. It was a good night’s sleep and a slightly more careful breakfast after the madness of the night before. 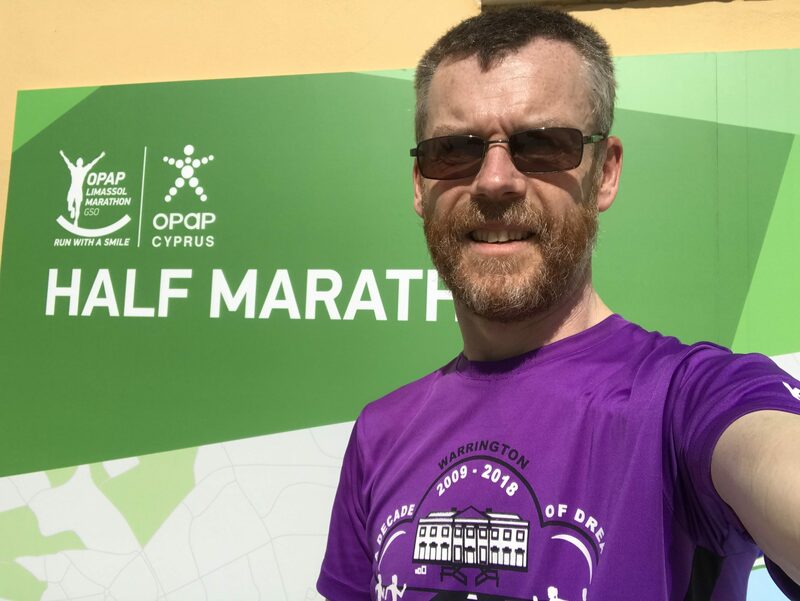 No race pack had materialised so far so I decided to run into the Molos area of the city to visit the expo. Of course I misread the time it opened and had to find somewhere for a coffee. When I did get there people were queuing out of the doors! 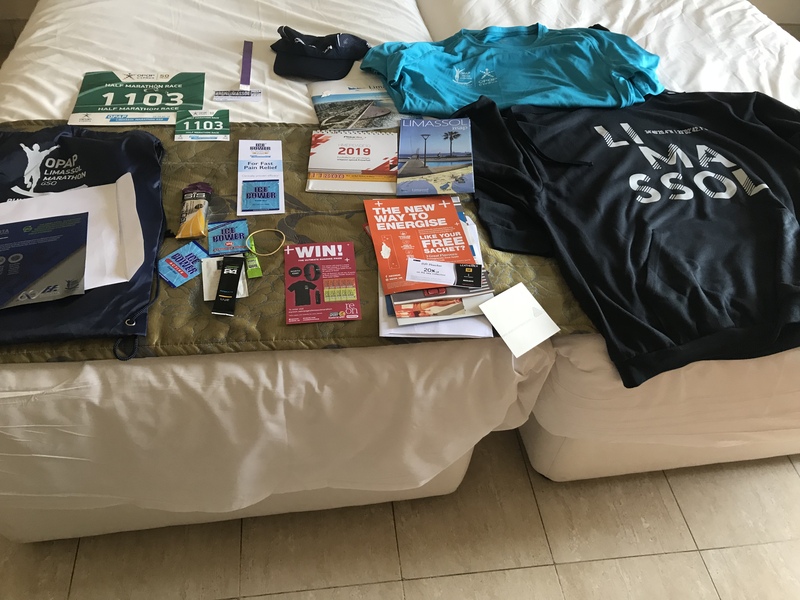 Thankfully not for the information desk where I ascertained the main packs had been delivered to the hotel, just a bit later than I’d assumed. I was going to walk back; a grumpy feeling hamstring wasn’t helping matters. But having got bored walking, and remembering the dinner, I still ran most of the way back. Save for the t-shirt in large size (I’m a small) and a lack of information about what the purple band was for, everything looked good, even if several forests had been sacrificed judging by the amount of paper in the pack. 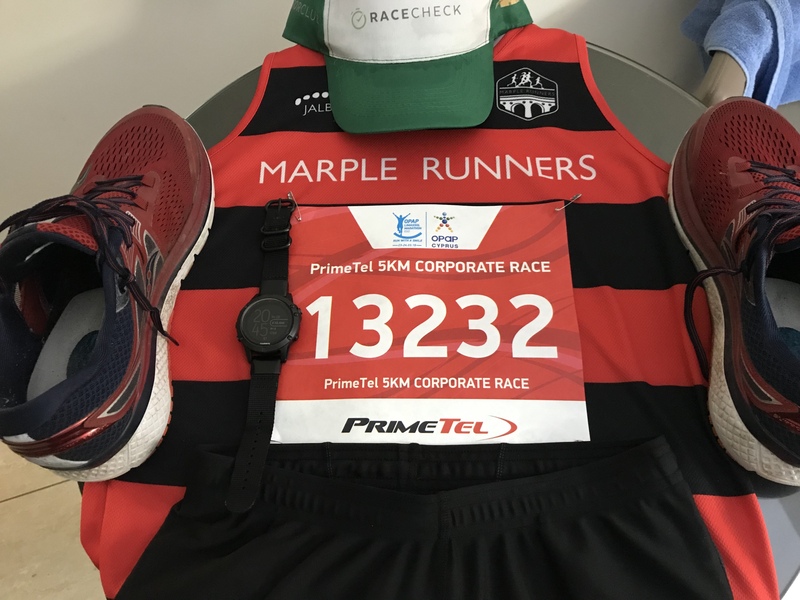 There was no mention of the corporate 5k entry in the pack, so I thought I might check this out when I went to change the t-shirt. I then settled by the pool. Whilst sunny, it was also breezy and not as warm as it had been in the morning. So after an hour I decided I was cold and would go back into town, this time on the bus. 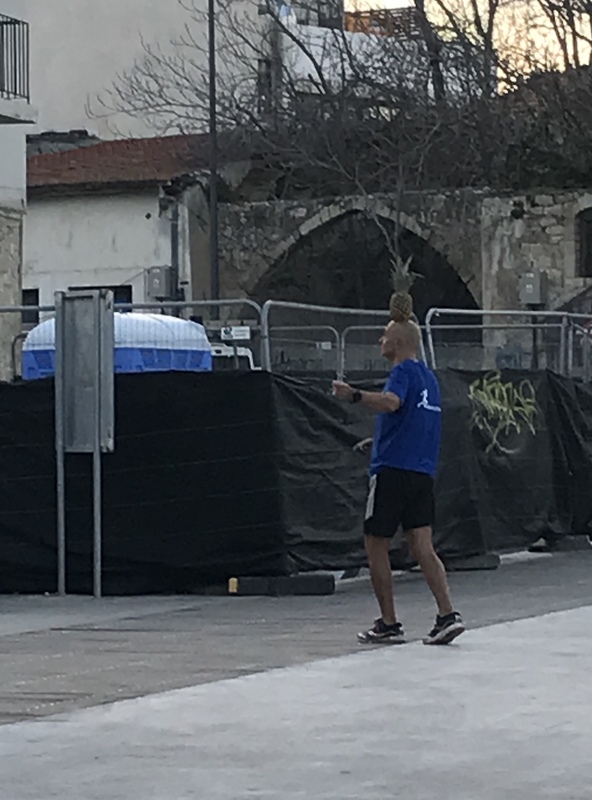 After swapping over the t-shirt, gaining confirmation about the purple band plus everybody’s 5k numbers, I met a man with a pineapple on his head. Jogging. I didn’t ask him why. It’s neither something I’d be able to do, nor have any desire to do either! With Friday it meant that some other runners might start to appear. It also meant that I might be able to start distributing some of the 5k numbers with 24 hours to go to the first race. I started Friday with a run. This time a 10k plod in the opposite direction to yesterday – essentially covering the middle section of the half-marathon route. I had planned on running along the coastal path. I was sure it was there last year! But seemingly for much of the first mile I was jumping between walls and beaches until I could go no further. So it was back up to the road to complete the remaining 5.2 miles in the heat. The theory being that I’m gradually acclimatising. The practice being that it’ll probably make no difference on Sunday! Having returned and showered I headed into the port area again (by bus) to meet up with six others from the #UKRunChat group. 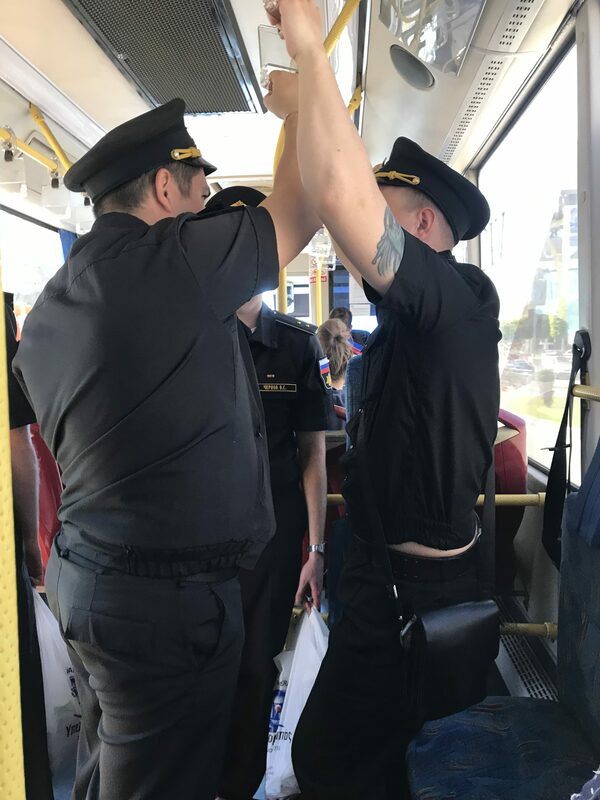 Stopping en route to collect some of the Russian Navy who were clearing restocking their drinks cabinet judging by the clinking of bottles in their bags! A long catch up later and we went our separate ways. The Molos area now looking increasingly ready for the weekend! I got back and even braved the pool having sat in the sun for longer than I might have done normally. Come the evening and a steady flow of arrivals at the hotel which allowed for a pleasantly social evening and meal with a couple more from the group. It’s suddenly here. 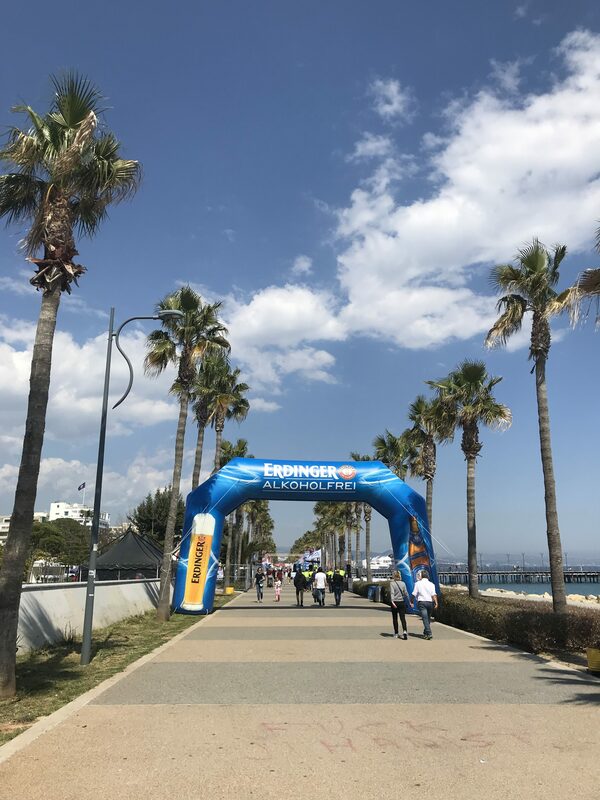 #RunLimassol weekend is upon us! It certainly helped having visited last year to have some knowledge of this event. Essentially it’s a big corporate do where local companies enter big teams. Rather than it being a race, it’s more a carnival atmosphere. We started off meeting up with the rest of the #UKRunChat group. In 2018, there was a running joke within the group that whenever we set about trying to get a group photo, Paul seemed to vanish (despite being one of the more recognised members of the group on social media). It resulted in a hashtag of #wherespaul which did the rounds for a while. This time, we were all present. And somebody provided us all with ‘Paul’ masks and resulted in a slightly disturbing group photo! Photo done we all headed off to do the ‘race’. 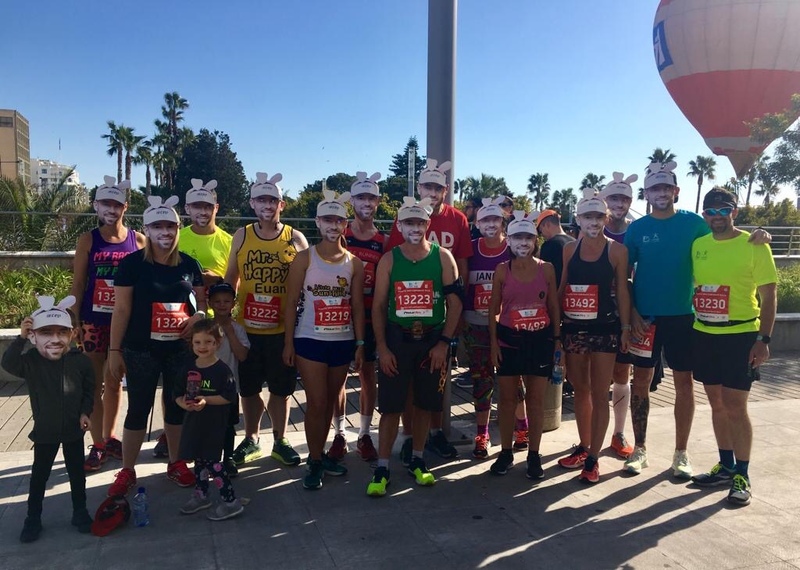 Most of us with our Paul masks on the backs of our heads as it was too warm to run with covered faces! As anticipated, the race started with a lot of walking although one of the group did manage to squeeze to the front and actually ran a quick time! I had a slow start but once going was able to run freely finishing in a time of 19.39 which, in the circumstances, was a good result. Even if the course was short. Still, I wasn’t expecting to get a good run out yet managed it. 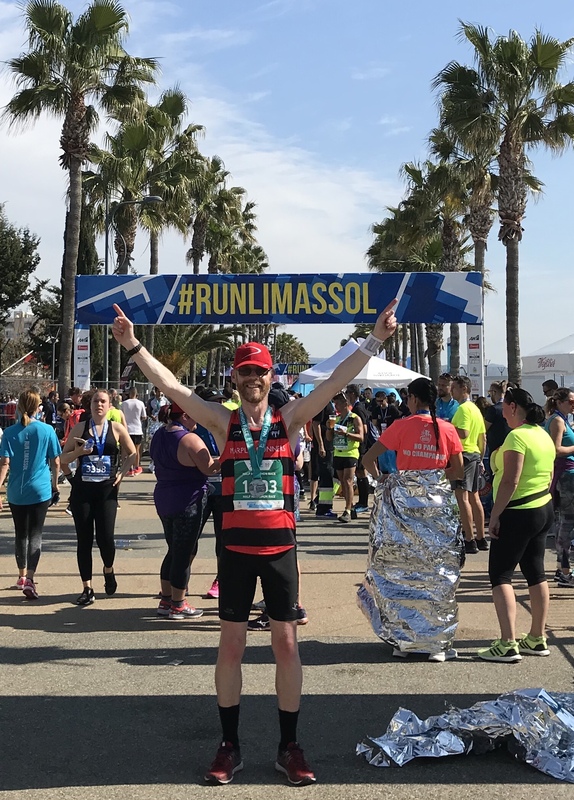 19.39 was my 5k PB for long enough after all! It was then off to find ice-cream with the favourite shop opening its doors as we approached – happy days. An afternoon of poolside watching followed by coffee shop goodness was all very relaxing before a return to Molos for the pasta ‘party’. A very British affair of working up an appetite whilst queuing for pasta! 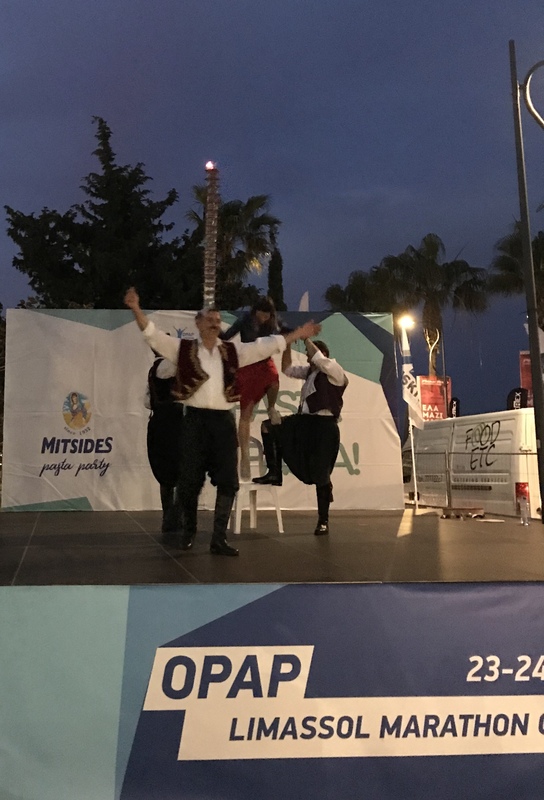 We caught-up with the group before the Cypriot dancers (the group from last year) did a turn on the stage. Then back to the hotel for more food and an early night. 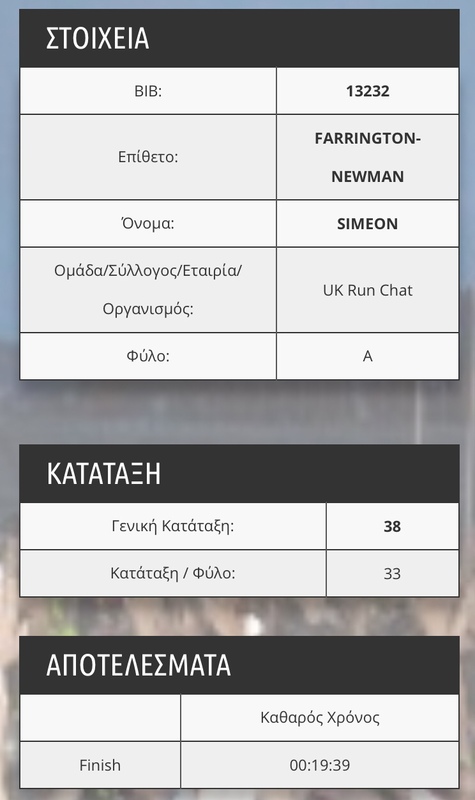 The final race for me of the weekend, and of my spring holiday in Cyprus. It was an early start to avoid the road-closures from 6.30am but everyone was up, fed and on the coach in time for the start-line transfer. It was then a matter of waiting for the race pens to open and get ready to go. Last year’s race went a bit wrong with my pacing strategy screwing up. It’s why at Paphos last weekend I took things easily. Today however I decided I’d give it a go, but stick with the 90 minute pacer. It all seemed a good idea in principle but it was rather warm when the half-marathon race started at 7.40am. 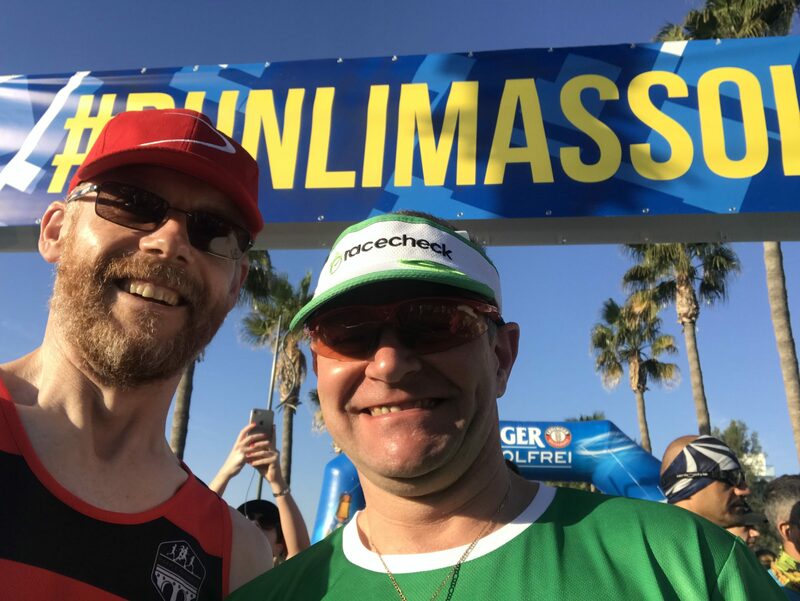 That said I stuck with the plan and was cross-checking the mile splits for Jordan (our pacer) and at least in the first half of the race, did the maths against the course markers – they were metric but we both use imperial measurements. It did the job. We started out on pace and remained there, almost to the second when I worked out the km splits. The pace group started at about 10 or so runners, but whittled down to an every decreasing number as the warm conditions were tough for all. In the latter stages of the race a couple of the group went off ahead of me, and I was a few metres ahead of Jordan who was actively encouraging the remaining runner in the group to keep his cool, keep breathing and hold it together. The pep talks did the trick and we all crossed the line inside 90 minutes. I must say I was flagging towards the end; the final stretch along the seafront is about a kilometre end to end. Seeing the finish in the distance doesn’t make the job any easier and I was having to really keep focused to make sure I didn’t wilt in the heat. The result though was exactly what I needed. A provisional chip time of 1.29.30 whilst way off my PB was proof that I could go sub-90 despite the warm conditions. So I was very pleased with the time! 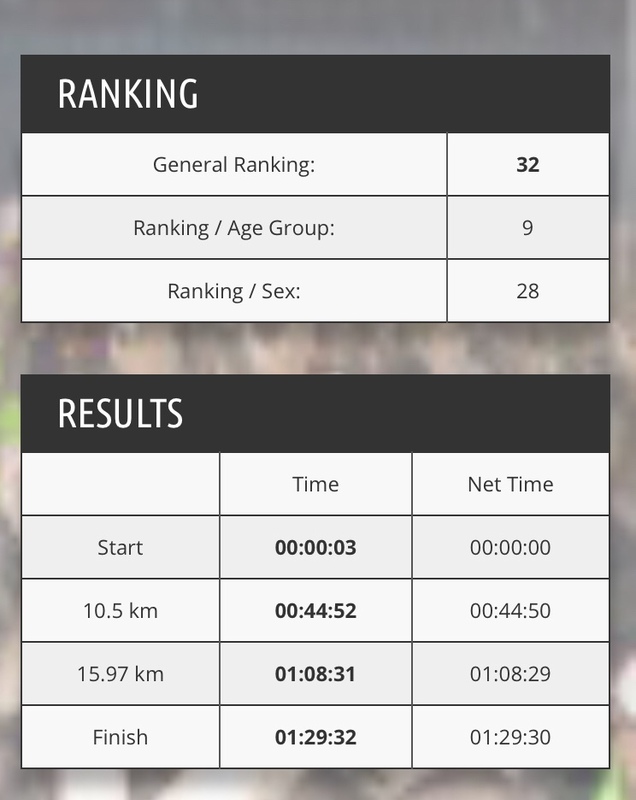 And 32nd overall out of 1000 finishers too. I’ll take that! 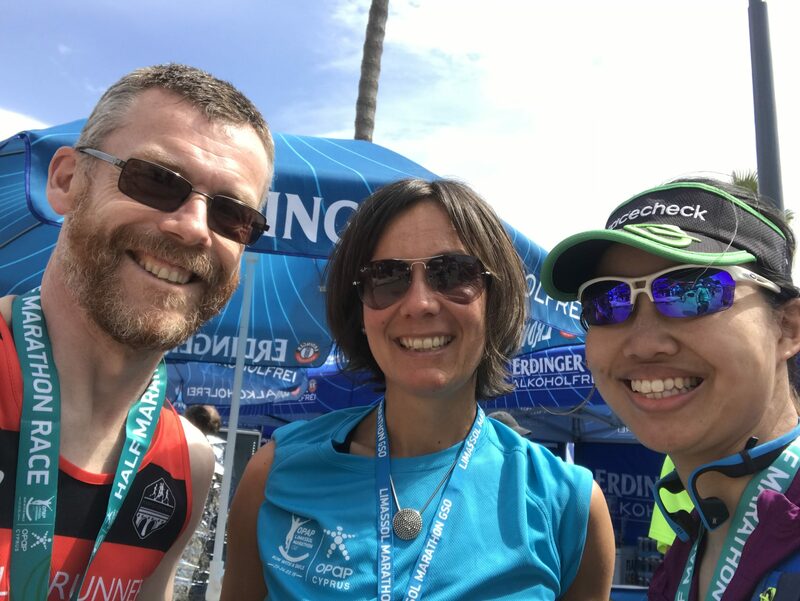 Whilst waiting for the others to finish I took advantage on the complimentary massage in the finish area (apparently my quads were somewhat solid). Now you may remember me mentioning the man balancing the pineapple on his head. Turns out he ran the marathon today. Complete with the pineapple. It was then it was off for ice-cream before milling around in the event village and watching the marathon runners finish. And several cans of Erdinger Alkoholfrei may have been consumed. As the roads were still shut we then walked back to the hotel as the blue skies became ever darker and cloud-laden. The plan had been to grab some food at the hotel and head back for the after-party, but a combination of bad weather and tiredness from the day resulted in an early night instead. Final day of my trip to Cyprus and it’s all about getting sorted for the journey home whilst still trying to make the most of the day. 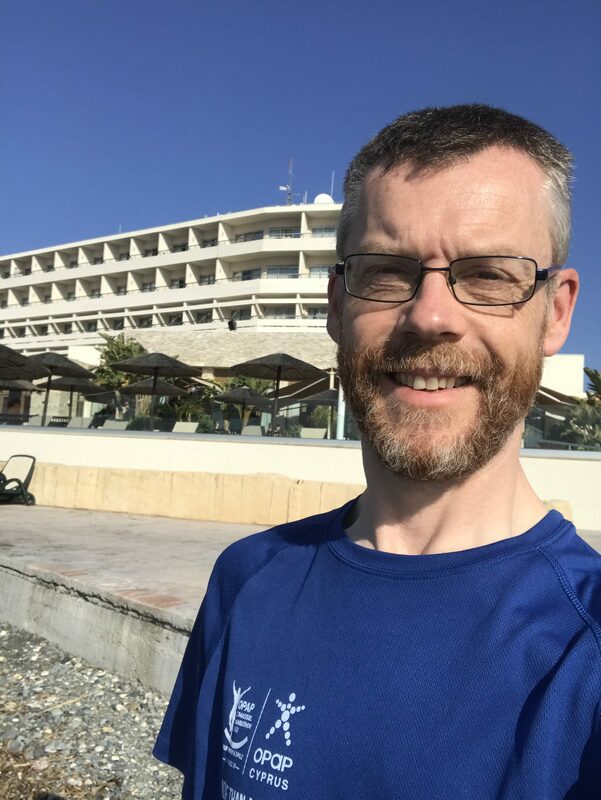 I’m not one for doing selfie pictures in general, but I don’t mind the occasional one when the sky is clear blue behind me and the sun is shining! After sitting on the suitcase I was able to get it closed, so that was the biggest concern I had with regard to packing resolved. As long as the zip is strong enough to avoid it expanding rapidly any time before I get through my front door, all will be well! So what about the #CyprusDouble? To be honest I thought that more people would have done it. 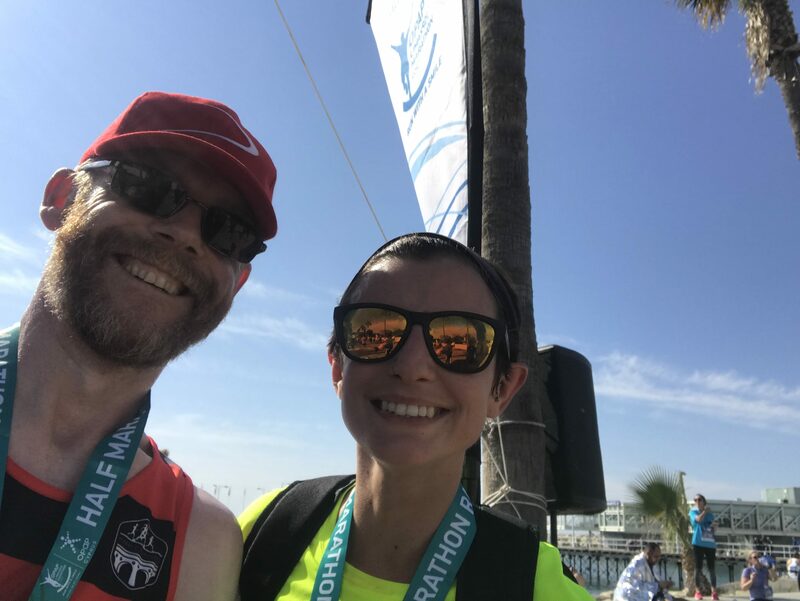 I figured that as I did a 7 day break last year, the marginal cost of an extra 3 days to take in the other race was well worth it. 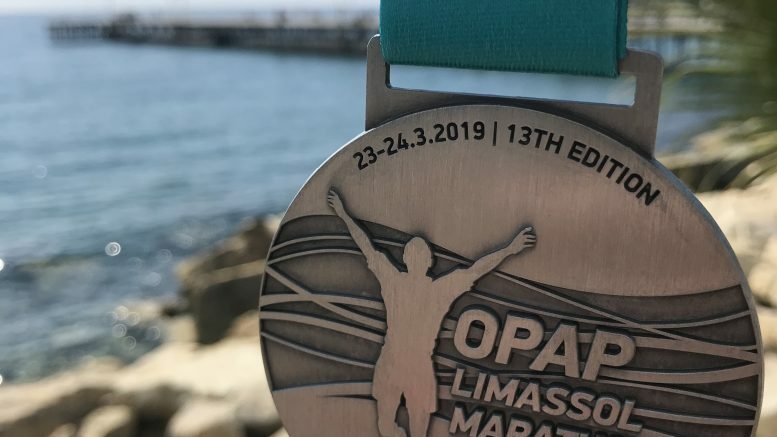 – Limassol’s events are flatter courses whereas there’s a bit of undulation (especially in the marathon race) in Paphos. 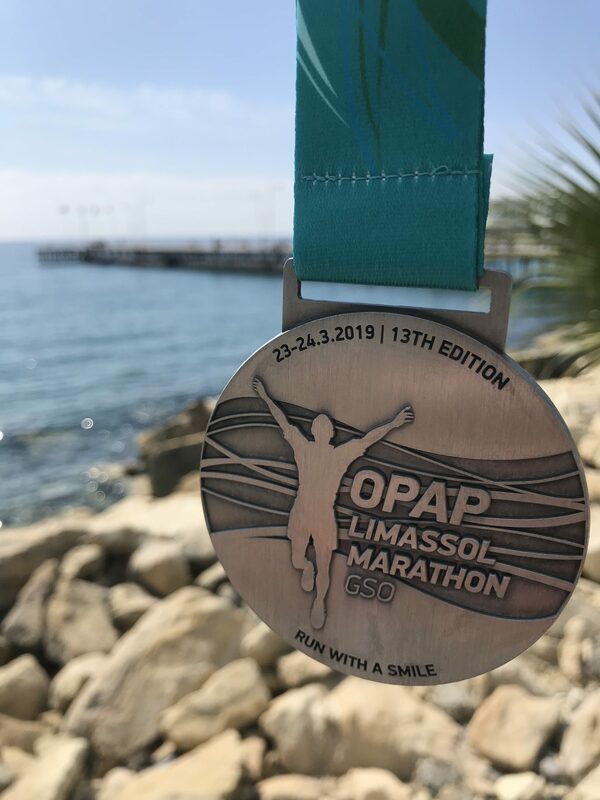 – Limassol’s events spend a lot more time within the hotel/town districts whereas Paphos extends much further afield. 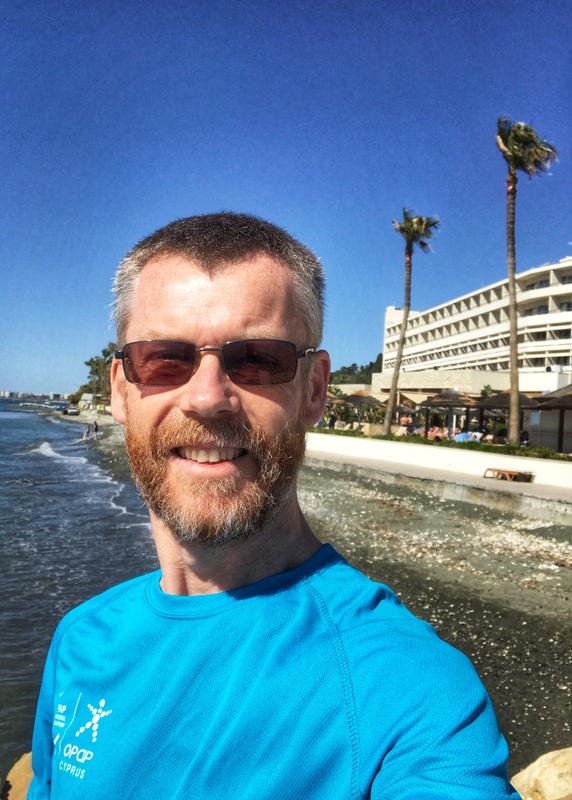 So that was Cyprus 2019. Hope you enjoyed the write-up! 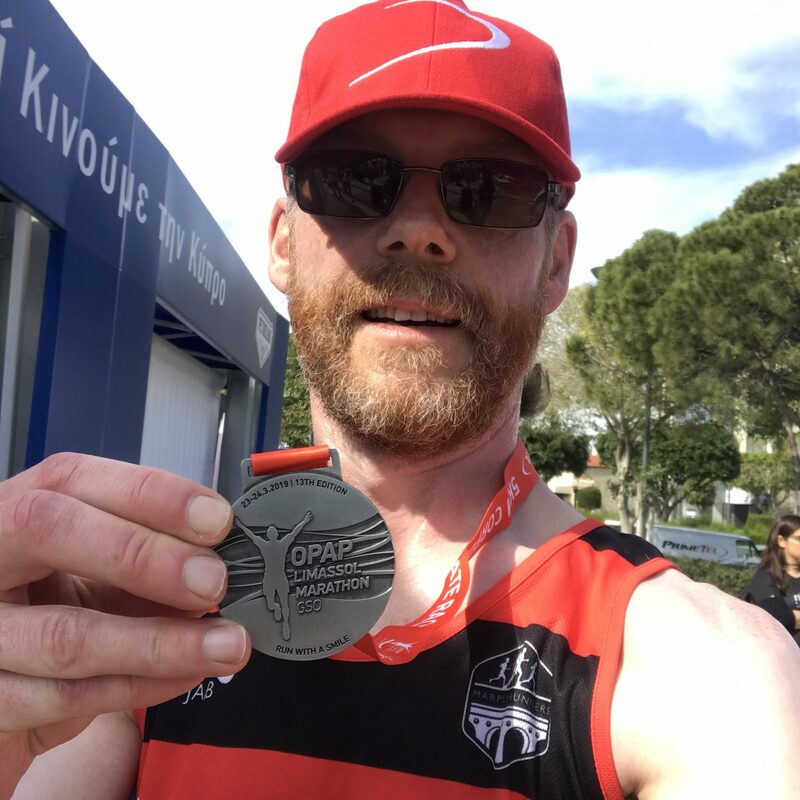 I’ve just read that in 2020 the two events will be a week apart again making the #CyprusDouble possible again! 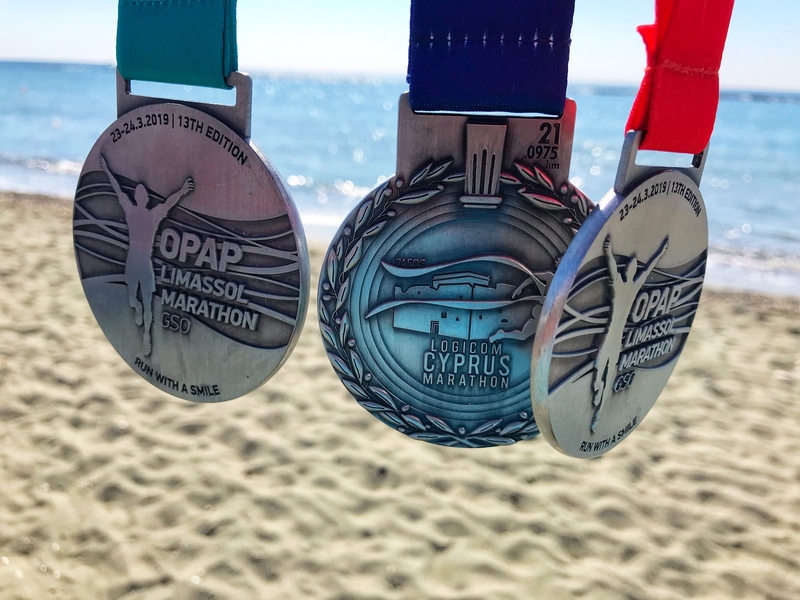 Be the first to comment on "Cyprus 2019 – part 2"